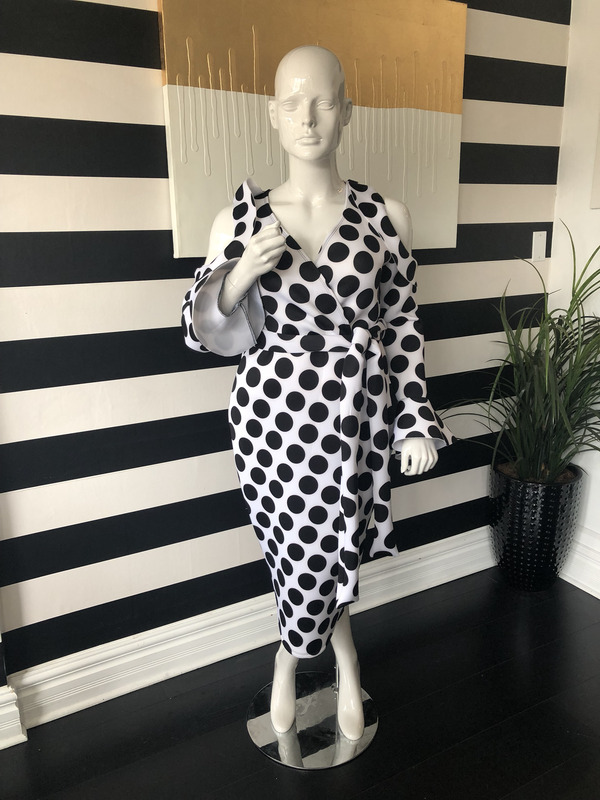 Black & white polka dot belted knee length dress with open shoulders and ruffled detail, also on cuffs. 96% Polyester, 4% Spandex. Dress only available in white base with black dots.